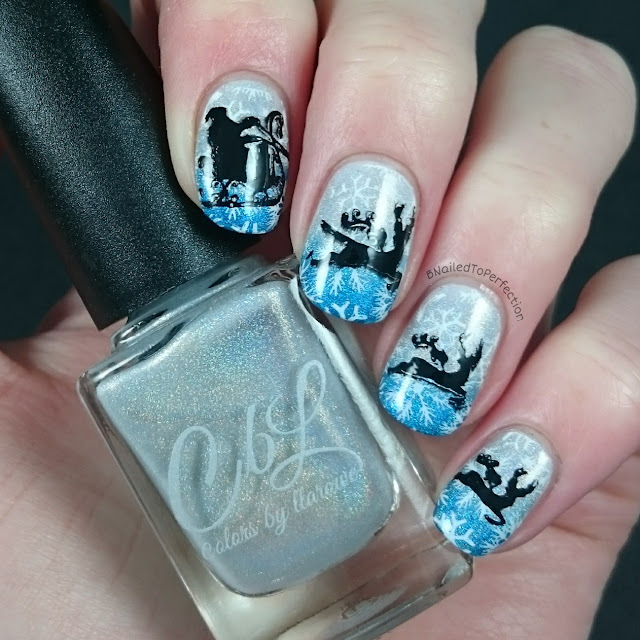 It's time for another Hobby Polish Blogger link up and this months theme is Holiday/Winter. So tomorrow is the day when the big guy in red comes down our chimney's to drop off all the presents. 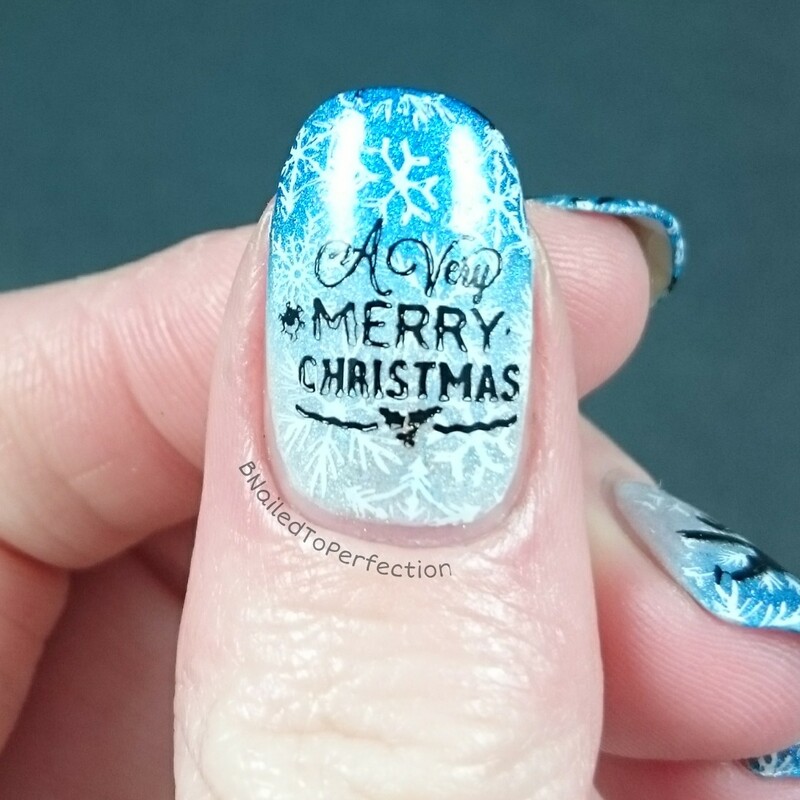 I think most of us hope for a white Christmas but it looks like my nails are the closest to white Christmas that we will get this year! They are a tribute to Santa's journey while he flies through the skies to visit all the good boys and girls. For the gradient I started with Chasing a Unicorn. Which is a very early birthday presents from my best nail buddy! It's the closest someone has come to a true white holographic polish. I applied two coats of the colour correcting base coat and then one coat of Chasing a Unicorn. Then I started to sponge on Chasing a Unicorn and Blue, Blue, Christmas. I did about 3 layers to achieve the look I wanted. 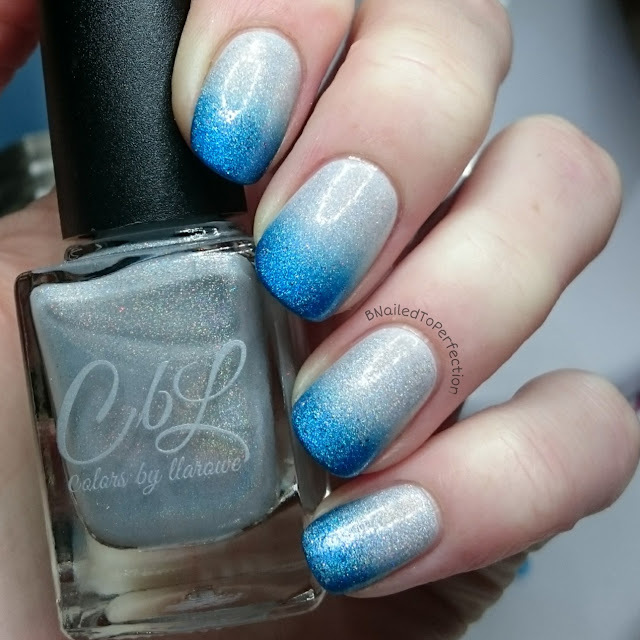 Both of these polishes are from Colors By Llarowe. I took a quick snap of the gradient before I started the stamping. I did two layers of stamping. Firstly I used the Uber Chic Christmas plate and EDK Dolly to stamp the snowflakes. 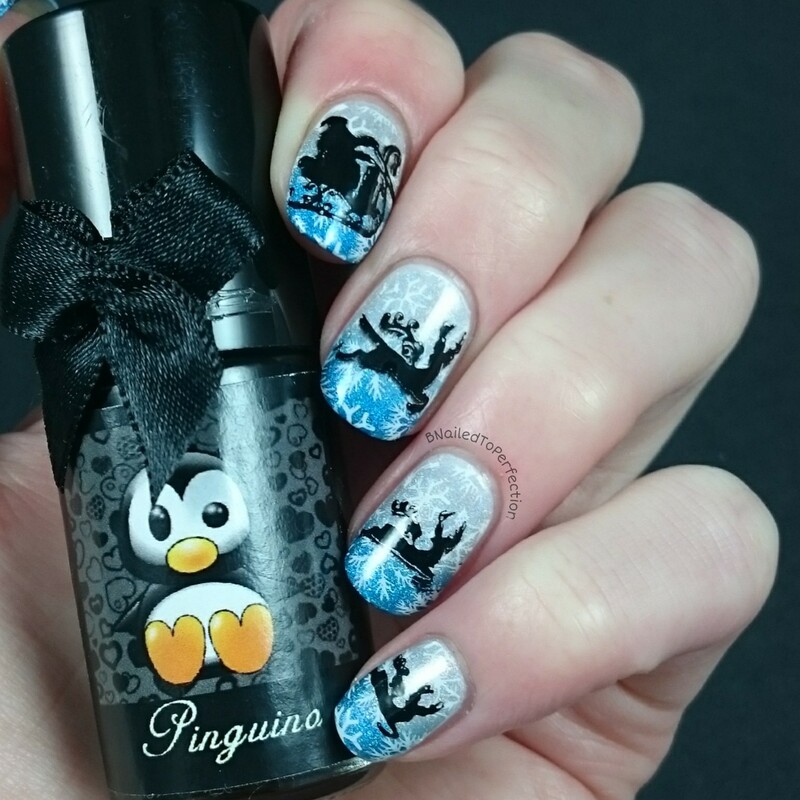 Then I used EDK Pinguino to stamp Santa and his reindeer from Sugar Bubbles plate - SBS03. 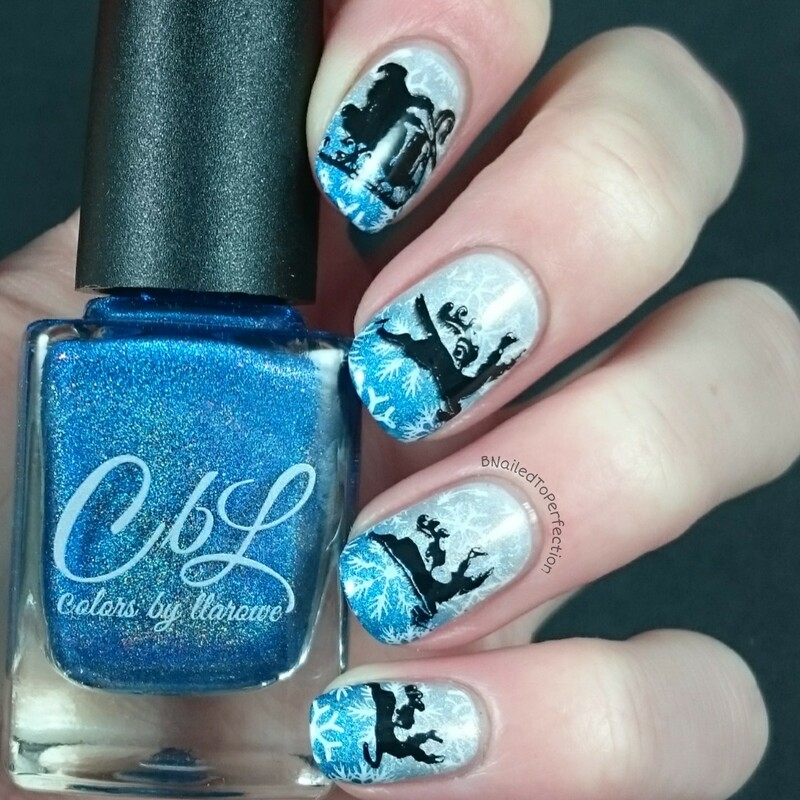 To stamp the snowflakes I used the new Creative shop stamper from the Space collection that was sent for review. A full review will be on the blog shortly but my first impressions are very good! 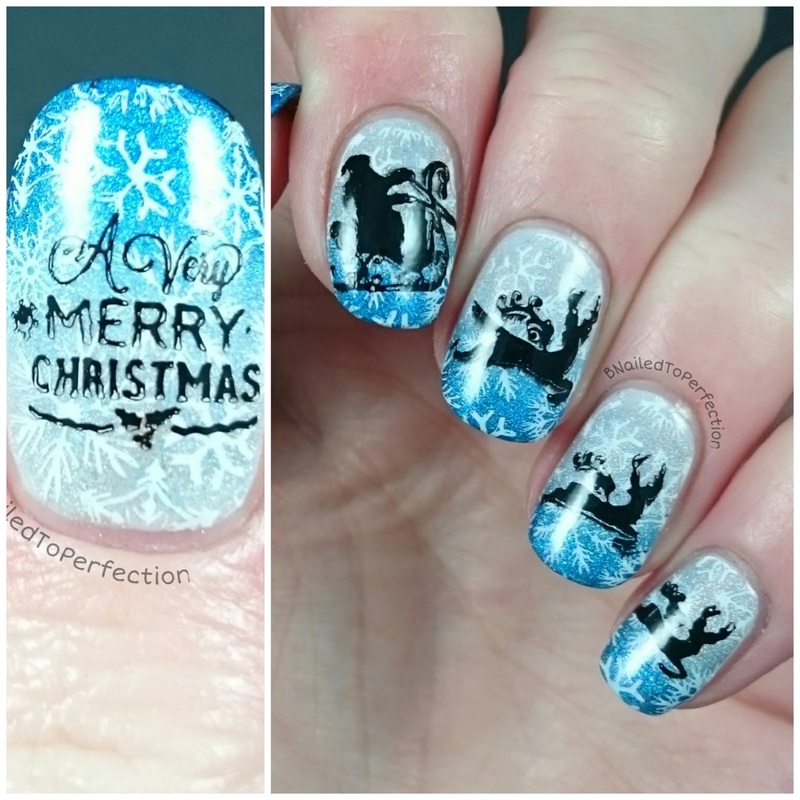 I used another image from the Uber Chic Christmas plate on my thumb. 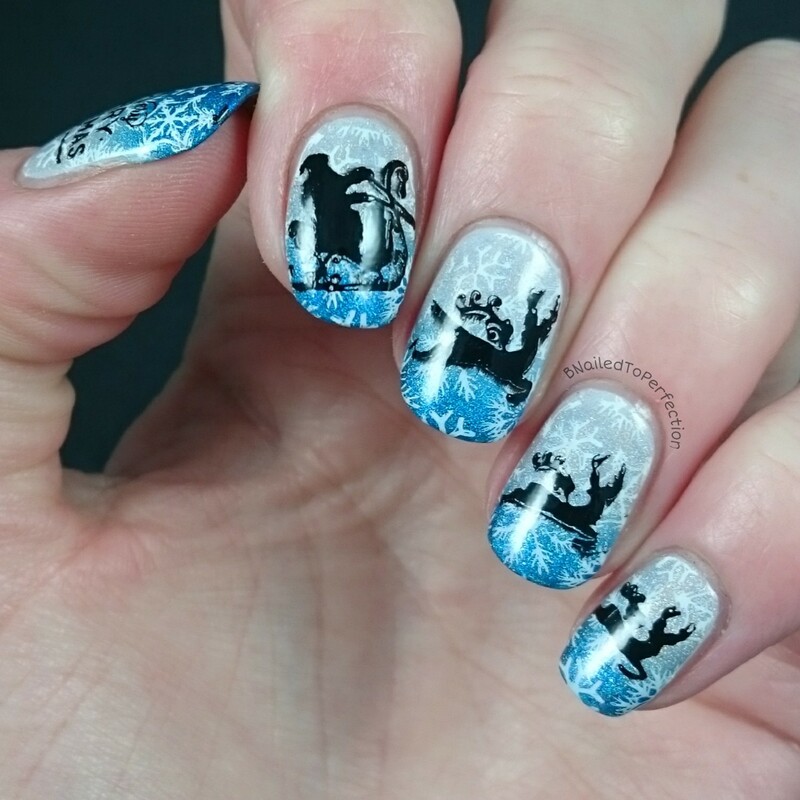 What do you think of my Christmas nails? Are you doing anything special for Christmas? Don't forget to check out all the other Winter designs from the guys in HPB linked below!